But what if we could have credentials without a college degree? Think of the music business. When music began to be sold (or stolen) by the song and not by the album, the resulting unbundling decimated the industry’s revenues. Imagine if something similar happened in higher education, with credentials offered at the level of a skill, rather than a degree? Why pay for a degree when what you really want is a skill? Predicting the disruption of education as a result of technological progress is a pastime of long duration. Various experts predicted that motion pictures, then radio, then television, and of course computers and the internet, would overturn the existing model for education. By now, we’ve been through several waves of supposed disruptions. In 2000, an on-line educational platform, the ill-fated Fathom, attempted to be a first mover on the World Wide Web (yup, that’s what we called it). Now, we have MOOCs (massive open online courses), with millions of learners flocking to platforms like Udacity, Coursera and EdX. Even more people regularly get their knowledge free of charge from YouTube with “classes” of 400,000 not being at all unusual. Many bet that online education, packaged in a sophisticated way, can be a big business. Startups such as Masterclass blend the quality and celebrity of the movies with on line courses (Gordon Ramsay teaches cooking! Helen Mirren teaches acting!). Despite their popularity, MOOCs and their ilk have not yet crossed an inflection point that could disrupt higher education. They struggle with how to make the experience personally relevant, how to make money with on-line courses, and, most significantly to me, how to determine what credential a student will get. Let’s hone in on that question. The college degree – an unambiguous credential from an accredited institution – may well be the last barrier to entry standing between traditional education models and a major disruption. For many companies and their hiring managers, degrees are a handy shortcut. Want to reduce the resumes sitting in your “in” box? Easy – make some kind of credential, like a Bachelor’s degree, a requirement. Boom, in one fell swoop that list of candidates gets shorter. In fact, according to the Bureau of Labor Statistics, 21% of entry-level jobs today require a four-year bachelor’s degree. While it does make life easier for the personnel department, the degree requirement has a large number of unanticipated negative consequences and unintended side effects. Requiring a BA or similar degree for entry-level positions knocks out as many as 83% of Latino candidates and as many as 80% of potential African American candidates. That is a lot of talent to overlook. Making a 4-year degree the barrier to obtaining a good job creates a vicious cycle. Students, who in a previous generation might not have ponied up for a 4-year degree, now find themselves taking on seriously debilitating loans to get the credential. That, in turn, makes them more expensive for employers to hire. For the price employers are willing to pay, the economics of debt repayment means that there are fewer candidates willing to take what Fuller calls ‘middle skill’ jobs – supervisors, support specialists, sales representatives, inspectors and testers, clerks, and secretaries and administrative assistants. This makes it hard to hire for these roles, leaving companies without the workers they need to grow and people without access to the opportunities that might get them a start on a middle-class life. As Fuller points out, effectively, employers are locking the 2/3 of Americans who do not have a four-year degree out of workplace opportunities. Forty-four percent of new high school graduates enroll directly in a four-year college, according to the National Center for Education Statistics, but less than half of them will earn a degree within four years. And college is not getting any cheaper – a recent study found that tuition inflation rose 498% from 1985 to 2011, nearly four times the overall consumer price index. Americans owed $1.3 trillion in student debt this past summer, more than two and a half times what was owed a decade earlier. In a bright spot that might be an early warning of companies being more open to sorting out their hiring pools on the basis of something other than a degree, some companies are willing to seek out so-called “new collar” people. Partly in response to an increasingly tight labor market and partly in response to an inability to hire enough people at the salaries they are willing to pay, other forms of skill certification are becoming more widely practiced. Somewhat reluctantly, one gets the impression, these companies are looking at graduates of community colleges and boot camps, and some are launching internship and apprenticeship programs. In the United States, apprenticeships are seen as expensive for employers, and they often are snubbed by the most talented applicants, who see them as less prestigious than heading off to college. In the United States, in contrast, “most students are offered a choice between college or a dead end.” In the Swiss system, apprenticeships are seen as equally valuable for the establishment of a good life, and college is meant for those who have jobs (such as in the law or accounting) that genuinely require advanced classroom instruction. So we basically have a situation in which a great many participants are not being well served. Many students are taking on debt they will struggle to pay off. Employers can’t find the kinds of employees they need. Opportunities are closed to millions of people who could quite adequately perform a role. And, all because we continue to use a degree as a proxy for other things we really care about – soft skills, the ability to write cogently, the ability to interact with technology, and so on. Whenever a system has enough badly served constituents, an inflection point has fertile ground to take root. I believe that alternative forms of credentialing, in which some kind of respected accreditation body certifies skills at the level of the skill, rather than the degree, is beginning to gain real traction. There is definitely demand. The presence of so many online resources and other tools that individuals can use to learn is creating a hunger for alternative certification systems. Considerable experimentation has gone on with on-line badges and verified certificates used by some students to complement their traditional transcripts. While these things have been around for a while, the notion that they might substitute for a conventional degree has been met with skepticism. We are starting to see business models that support alternative credentialing emerge. Pearson, a leading supplier to the higher education business, has an entire business line devoted to helping institutions create alternatives to traditional degrees. This is gaining traction as educational institutions pick up on the need and incorporate alternatives into their curricula. Its Acclaim platform partners with companies to provide respected credentials of achievement for their workers. Startups such as Degreed are also building a business out of certifying people for skills. With competencies ranging from change management to public speaking to HTML coding, their process provides a certificate that a candidate has gone through a rigorous evaluation process from experts in that particular field of study. It also certifies the level of a candidate’s mastery of that process. Today, the current state of higher educational institutions remind me of integrated steel mills that suffered a major disruption at the hands of mini-mills, particularly when we think of large research universities. Clayton Christensen has, of course, been talking about this for some time, and published his ideas in his book Disrupting Class. Like the integrated mills, the economics of higher education exist because there are few alternatives. Students in the United States feel they have no choice but to attend college in order to access opportunities, just as steel customers had few alternatives to buying from integrated mills. Students must take a full slate of courses, some of which are required, regardless of whether they are interested in the topic or not. Professors are rewarded for their research prowess rather than being rewarded for being inspiring curators of the social learning process. In many of our institutions, teaching is seen as a nuisance. For instance, with respect to research in business schools, Michael Harmon of Georgetown wrote a delightfully titled article, Business Research and Chinese Patriotic Poetry: How Competition for Status Distorts the Priority Between Research and Teaching in U. S. Business Schools. In this piece, he fiercely criticizes the business of producing scholarly research in business schools that has “obliterated any evident connection between research productivity and the furtherance of any praiseworthy social, practical, or intellectual values.” More recently, my colleague Steve Denning takes business schools to task for offering obsolete lessons to their students. Normally, when a system doesn’t create results for its constituents, it goes out of business. The university system, however, is buffered by its control over that all-important credential. Just as mini-mills started at the “low end” of the steel market, basically making the worst-quality steel for the most unattractive and price-sensitive customers, alternative credentials are starting at the ‘low end’ of the education market, with boot camps, on-line programs and short ‘training’ events. Just as with mini-mills, however, we can predict that their quality, reach and access will improve and that the impact on established institutions will be greater over time. As this starts to have an impact on more universities, several outcomes are likely. The first is the shrinking of the research-based model for faculty deployment and incentives to what you might think of as the “celebrity” model. 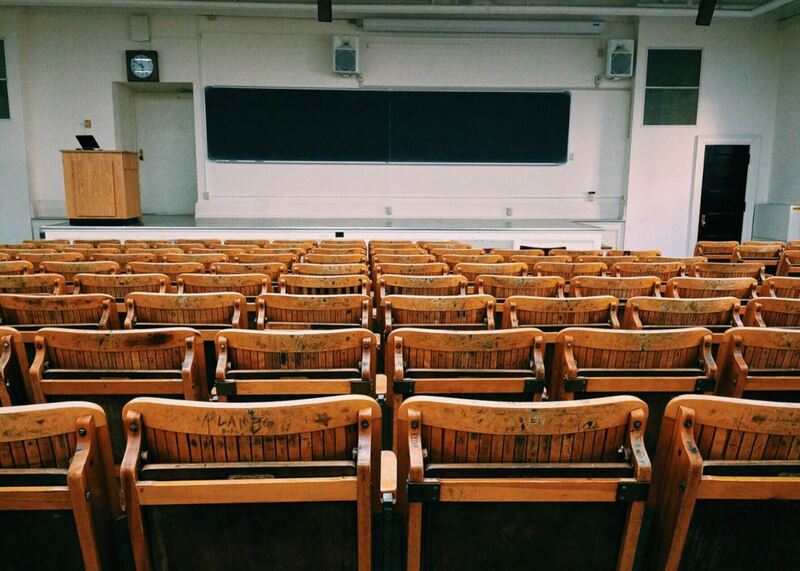 Schools are already relying more heavily on adjunct faculty in their classrooms at an increasing rate. Popular instructors are more likely to be in demand than those that focus on scholarship. Another effect, which Christensen predicted, is that the brands of universities may well become less important than the brands of individual superstar professors. In the future, it may matter more that you have a credential attesting to the completion of Christensen’s course on disruption or Linda Gratton’s course on organizational design than that you have a degree from Harvard or London Business School. Similarly, we may see rankings and accreditation drop to the level of individual course modules or programs. Rather than ranking the ‘best business schools’ overall, journalists and observers may, instead, rank individual programs. The Thinkers50 ranking of thought leaders in management has already demonstrated a version of this. What can or should educational institutions be doing? Some colleges have begun to transform how they do business. Arizona State University, for instance, has consistently been ranked as the most “innovative school” by the prestigious U. S. News and World Report ranking for its holistic approach to developing relevant, useful and student friendly programming. Among their initiatives are the Starbucks College Achievement Plan which provides tuition relief for Starbucks employees studying at ASU. Its Global Freshman Academy allows anyone to take ASU courses on line and transfer the credits back to ASU – paying for them only when they are successfully completed. Accelerated degree programs allow students to complete their courses more quickly. The Minerva Institute is redesigning the university experience altogether. While it’s probably too early to completely overhaul the university model, it is time for those making decisions in higher education to keep a close eye on developments in alternative credentialing. None of this should be construed as suggesting that a carefully curated curriculum taught by passionate educators is a bad thing. Indeed, liberal arts schools, at their best, turn out thoughtful people who can write, synthesize and come to sensible judgments about issues. The dilemma, however, is when the degree becomes an end in and of itself.